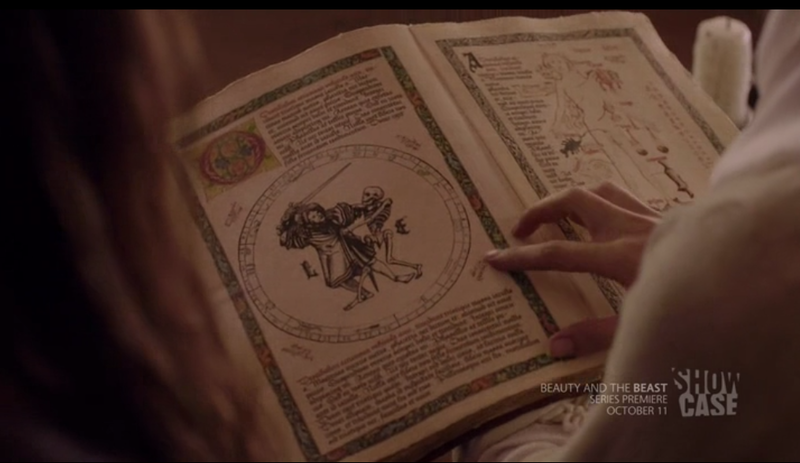 I don’t recognize the book–does anyone know what it is? On the left page, there’s a man fighting Death. The right page is the Zodiac Man, an explanation of how the signs of the zodiac govern different aspects of the body–it was often used by medieval physicians to decide when bloodletting was more favorable and what body parts to avoid for surgery in conjunction to the alignment of the stars. Medieval surgery is interesting in that it is the one medical occupation besides physician’s medicine that was taught at the university, particularly in southern Italy. However, most surgeons would not have been university educated, since they would have learned primarily through apprenticeships. They dealt primarily with every day injuries such as broken limbs, sprains, dislocations burns, and so on. At the fringes of the surgeon’s trade were those practitioners (often unlicensed) who specialized in particular operations like bone-setting, tooth-pulling, couching cataracts and so forth. However, it did bring to mind the how Arabic treatises were adopted and translated into Latin. Between the 6th-11th centuries, medical handbooks had little or nothing to say about surgery and for the most part, surgery was not separated from medical practice. After 12th century, books on surgery began to emerge and evolve as a distinct form of medical writing. As with physicians’ medicine, much was learnt through Arab texts, particularly the work of Abu al-Qasim ibn al-Abbas Al-Zahrawi (936–1013), known by his Latanized name Abulcasis. Considered the greatest medieval surgeon from the Arab-Islamic world, he has even been named the father of modern surgery. His greatest work is the Kitab al-Tasrif [Method of Medicine], 30-volume encyclopedia that described pioneering surgical procedures and instruments—over 200 hundred instruments are detailed in the book! Not only did Abulcasis devise many of these instruments himself, but many are still in use today. 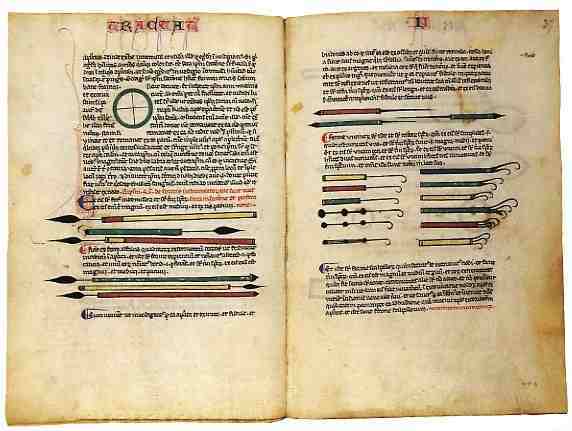 The impact of Abulcasis’ book was enormous once it was translated into Western Latin by Gerard of Cremona in 12th century Spain, who also illustrated the book. 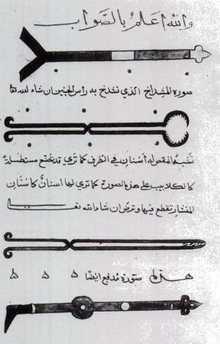 The al-Tasrif became a standard reference for both doctors and surgeons as it was translated into Latin five times. Two pages from an incunabulum of the 30th section of Al-Tasrif as translated to Latin in the 12th century by Gerard of Cremona.